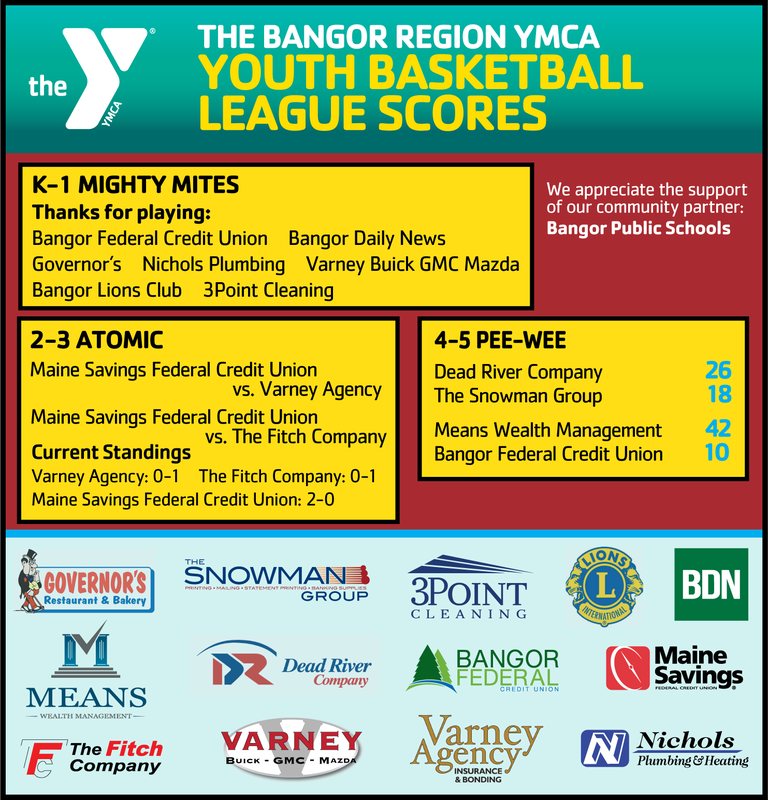 Team names and scores for each league will be posted on this page every Tuesday and printed in the Bangor Daily News every Wednesday. 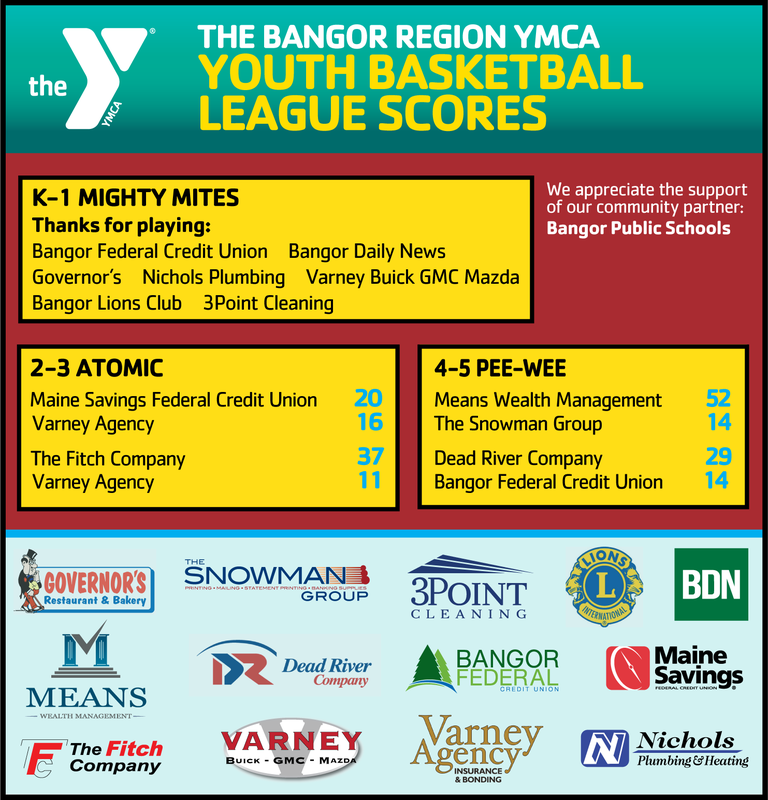 Become a Team or League Sponsor and have your company name and logo printed weekly in the Bangor Daily News! For more info, email Keegan Wakana, Youth Sports Manager.